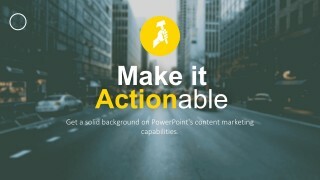 PowerPoint not only rules the presentation industry, it also helps make content marketing much easier. So the learning curve isn’t that steep. But that’s not all. You can also easily convert PowerPoint slides into web-ready images, albums, infographics, animations and videos. That’s a great boon for professionals who possess the creative spark but lack the technical expertise of studio-grade creatives. In an age where social media greatly influences consumer behavior, that certainly carries a lot of weight. With PowerPoint, you wouldn’t need to immediately contact your favorite design studio or freelance digital artist for everyday content marketing efforts, saving you extra bucks that you can then use for those special media campaigns. If you have a story and want to tell it in a visually captivating way, then all you need is to build a presentation deck and package it in the content format your audience will appreciate. Nowadays, you don’t need to start your presentation design from scratch, it is possible to save valuable time by using pre-designed and editable PowerPoint templates that comes placeholders that are easy to edit and replace with the desired content. Sharing your work on social media isn’t much of a hassle either. The folks at Microsoft Garage developed a PowerPoint plugin just for that. The Social Share plugin lets you publish your work on Facebook and Twitter straight from PowerPoint, with an interface that enables you to introduce content with a catchy tweet or post. For other channels, you can simply upload and share the formatted content you developed over the social media platforms your audience are using. Too good to be true? Not at all. In fact, a significant volume of online content that have grown viral started as humble PowerPoint presentations. But there’s a caveat as you might have suspected. And it’s a big one: PowerPoint slides are so ubiquitous that the vast majority of them are mediocre at best and pure crap at worst. It’s no accident that the term “Death by PowerPoint” has become a corporate meme. The bottom line: you wouldn’t want to associate your brand with a crummy presentation, especially on social media. Being ripped apart by online trolls and normal folks alike for offering substandard fare could deliver a great deal of damage to your business, team or career. 1. Understand how social media works. You need to, since it’s basically where you’ll be publishing much of your content. 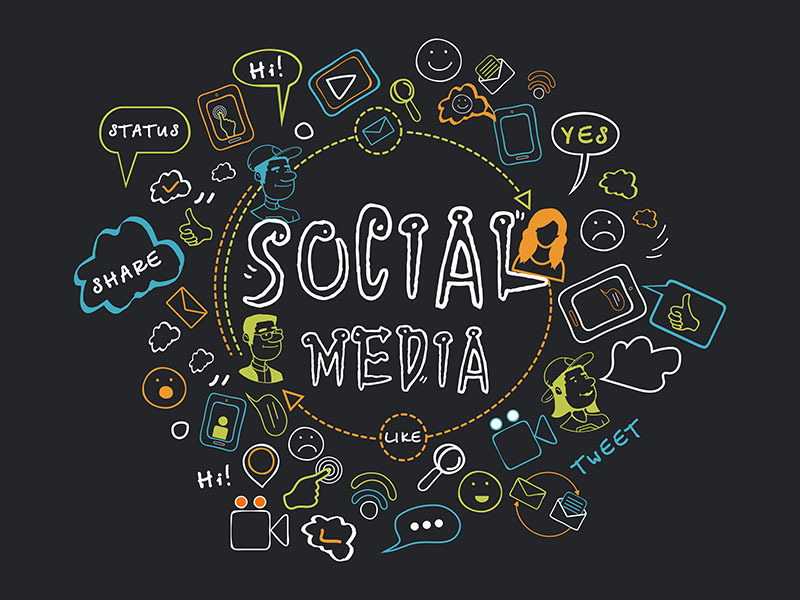 Social media is that lively patch of the Internet where everyone seems to enjoy hanging around most of the time. According to Social Times, people spend nearly 28% of their time online surfing sites such as Facebook, Twitter, Instagram, Pinterest, and YouTube. Note that all of these venues are image-intensive, and that is where your PowerPoint design skills come into play. 2. 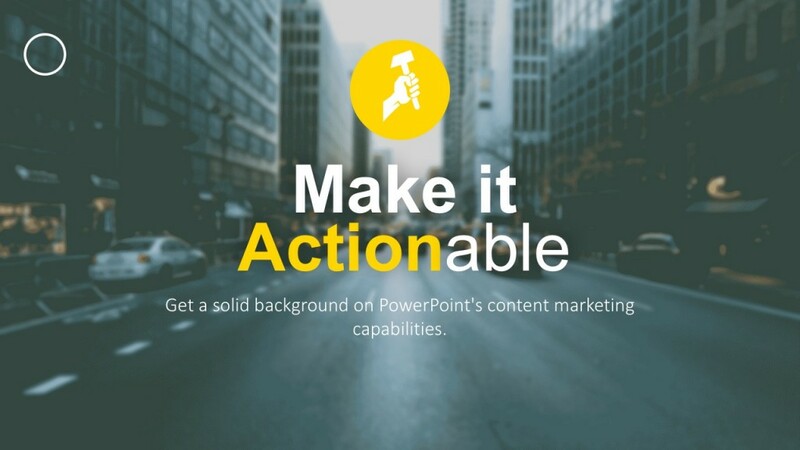 Get a solid background on PowerPoint’s content marketing capabilities. Explore this venerable but evolving presentation software. You’ll be surprised at the number of features and capabilities of PowerPoint that you have overlooked or been unaware of for years. The more recent versions of the software allow you to save or export slides as stand alone images, animation and videos in web-ready formats such as JPG, PNG and MP4. To start with, have you tried upscaling the dimensions of a slide to fit in a head-turning infographic? Have you used triggers to establish interactivity or auto-animate mesmerizing slide transitions? Have you played with the latest version’s robust imaging effects that easily transform your slide graphics into an Instagram-worthy content? Knowing how a tool works is one thing. Knowing your audience is another. Even if you have MVP credentials and you’re considered a PowerPoint ninja at the workplace, your best deck won’t make a dent if you hardly know your audience. 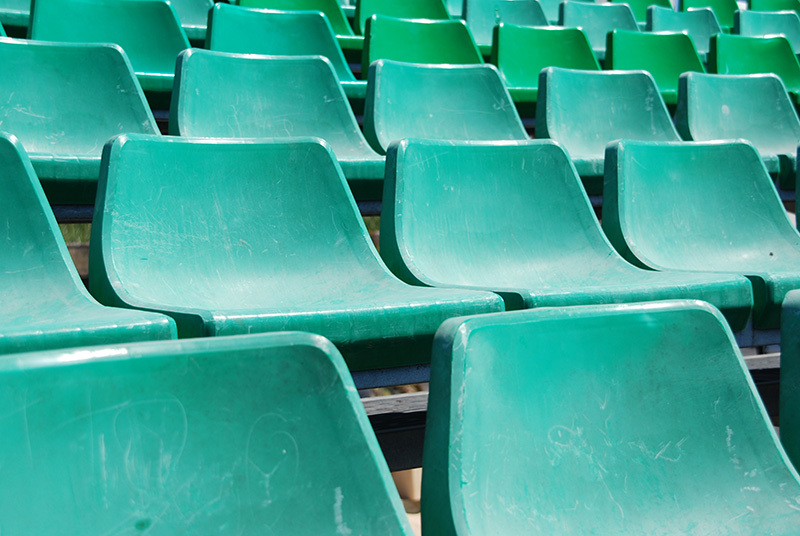 What type of content does your audience crave for? Which time of the day will they likely engage your message? Which social media sites do they spend most of their time in? These and similar questions should first be resolved for you to achieve your content marketing goals. Don’t settle for anything less than excellence when it comes to official content. After all, content quality says a lot about your brand. Remember that people get easily tired of crappy content, and even good content can become boring when communicated the same way over and over. Widen your content repertoire (image, infographic, video, animation, survey, games, interactive article, etc) and shift gears between formats. Content marketing doesn’t end once you have published your content. In fact, much of the heavy work comes after you have unleashed your well-thought out, PowerPoint-generated material. Use appropriate metrics to check whether your campaign is gaining traction or whether you need to modify your strategy. Engage and connect with audience who react – whether positively or negatively – to your content. Learn from both misses and successes, with the aim of evolving your content so that it remains relevant and influential to your audience. 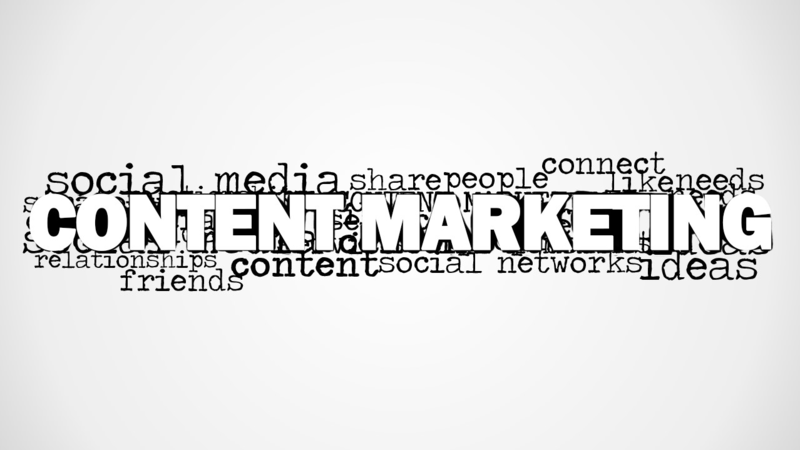 Presentations and content marketing have strong similarities. For one thing, they both involve using the tools of communication to persuade people into thinking, feeling, or acting in a particular way. Second, you can use PowerPoint as a handy tool for conveying messages in either case. That’s because PowerPoint has decent imaging capabilities and people react more to visual cues than they do when exposed to mere verbal signals. So rev up your presentation skills. Explore templates and techniques that will help you shine in social media. The post is based on the following Slideshare. Are there any copyright or other SlideModel licensing rights that would not allow an individual to create a PowerPoint with SlideModel template and share via personal blog or website? You can check our End User Licence Agreement for allowed and non allowed usages. If you have any further questions, please contact us through our contact form.